From the stories articles and stories I have read, Day of the Dead is a Mexican holiday celebrated throughout Mexico, and acknowledged around the world in other cultures. The holiday focuses on family and friends who gather to remember those who have died, and help support their spiritual journey. It's a holiday that is more festive than morbid, where families decorate the graves of loved ones with their favorite foods and sugar skulls. 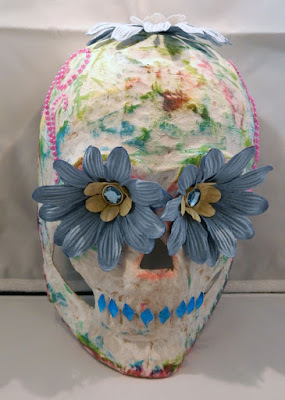 In honor of Day of the Dead, I've decorated a simple paper mache skull with lots of bright fun ink colors from Clearsnap, along with assorted flowers and bling! 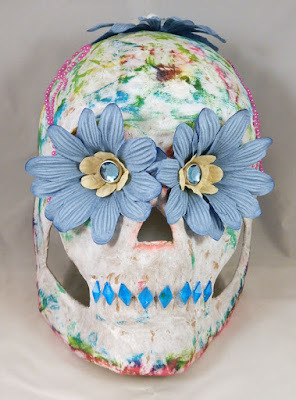 I began by painting gesso on the skull because I wanted the ink colors to take center stage. 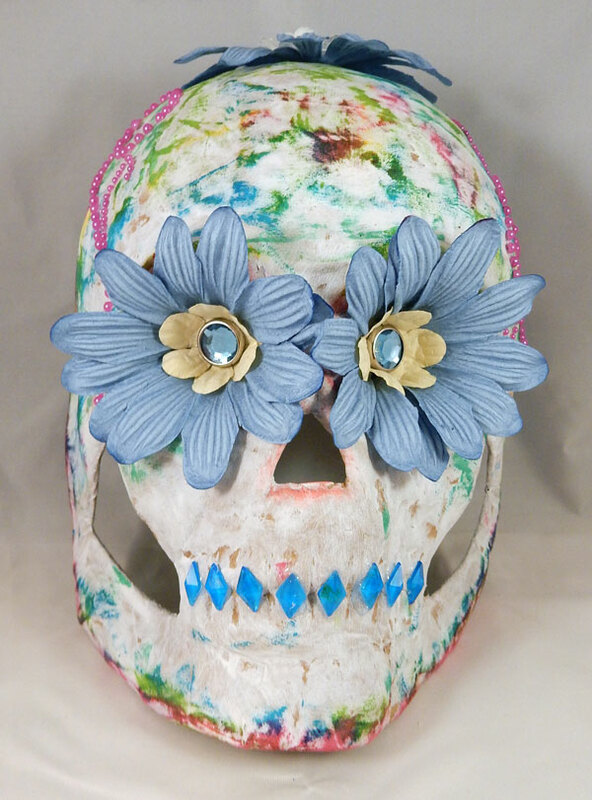 After all Day of the Dead is about color! Once the skull was dry, I used the new Marisa Pawelko Modern Surrealist Surfacez Inks from Clearsnap to add color to my skull. 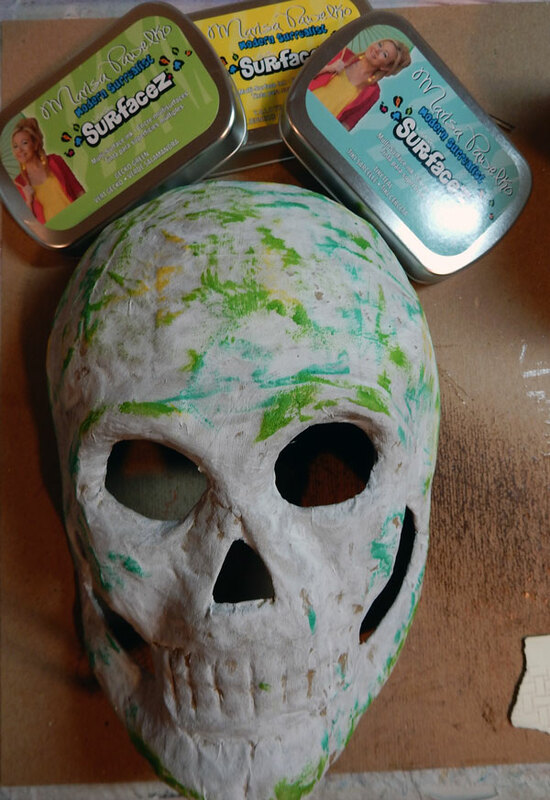 These inks come in lovely colors such as Paradise Pink, Tinky Teal, YOLO Yellow, and Charming Chartreuse which were perfect colors for my skull. I pounced the ink pads directly over the skull in a random manner. 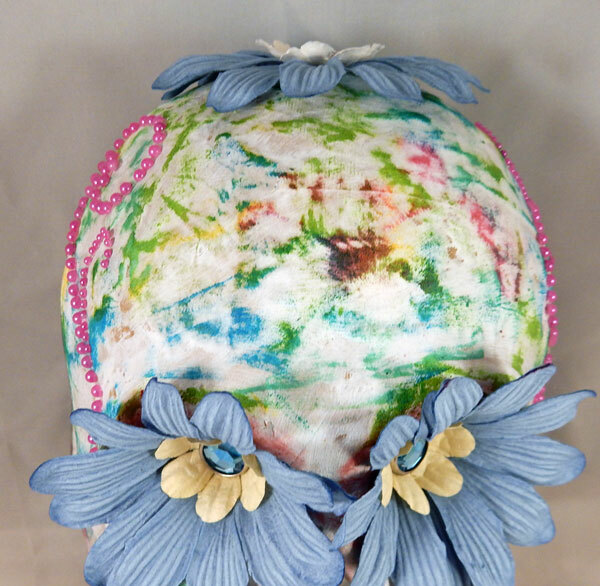 I didn't want to completely cover the skull but I did want the colors to stand out as well as interact with each other. I started with yellow, then green and then blue. Pink was the final color I used. What do you think? Will you create something for this holiday?